Just for the hell of it, here are my picks for who/what should win at the Oscars tonight. La La Land leads all nominations with 14. Is it naive of me to hope that Oscars will share the love between a handful of films, as opposed to awarding everything to just one movie? Maybe, but a girl can dream. LA LA LAND! I know some people who didn’t like it and thought it was cheesy. That doesn’t change the fact that *I* love it and I love how it makes me feel. It’s the presumed frontrunner and I completely agree. That’s not to say that I didn’t love any of the other films nominated. In fact, I think this is one of the stronger years, with each film making a solid case for itself. [Sidenote: I watched all but one, Hacksaw Ridge, because I really did not care to watch it] I loved Arrival and Moonlight, both of which I saw at TIFF last September, and still stuck with me. Lion, which I didn’t get a chance to see at TIFF, hit me in a way that I totally didn’t expect (in a good way). Hidden Figures was so enjoyable and inspiring. Fences was a great all-around film. Manchester By the Sea was a little slow for me, but I can still see why people liked it because it was a real character study. I’m not normally one for Western-type films, but Hell or High Water surprised me. I’m still shocked that Amy Adams didn’t get nominated for Arrival. She was spectacular in that movie (not that she isn’t always awesome) and gave such a nuanced performance, I honestly would’ve put her as my pick to win. But since she’s not nominated, naturally my second choice is Emma Stone. Emma brought a lot of facets to her character Mia, and La La Land is really Emma’s movie. I have to be honest though and say that the only other performance I saw was Natalie Portman in Jackie. I thought Natalie did great work as Jackie Kennedy, but something about the movie just didn’t work for me. You know who else I wish got nominated here? Taraji P. Henson for Hidden Figures. I love me some Ryan Gosling, but surprisingly enough, he’s not my pick to win. For a while, it looked like Casey Affleck was running away with the award, but Denzel is coming in strong and making a play for his third Oscar. I think Denzel is going to eke out the win, but I personally would love to see Viggo Mortensen win. I feel like he doesn’t get as much recognition as he deserves, and his Captain Fantastic character feels so different for him. In a case of category fraud that surpasses Alicia Vikander’s own nom and win last year, Viola Davis is somehow nominated as Supporting. Nope, she’s just as much a lead as Denzel in Fences. Granted, both the Actress categories are so stacked, it’s ridiculously awesome and frustrating at the same time. Because if it wasn’t for Viola being nominated here, my pick would most certainly be Naomie Harris. So amazing for what she did in THREE days filming Moonlight. Mahershala Ali was my pick to win from the moment I saw Moonlight and I still stand by it. He gave such a subtle but strong performance, and even though he’s only in the first third of the film, he left an impression. Before I even saw Lion, it puzzled me to no end why Dev Patel was being categorized as Supporting, seeing as how ads for the film use his face, but after watching it, I finally got it. I just hope this leads to more opportunities for Dev to really show off his skills as an actor. I think Chazelle will win, making him the youngest winner in the category. As a fan of Villeneuve, I’d love to see him win. But ultimately, my pick is for Jenkins, who did such incredible work on such an incredible film. It almost happened. At the start of the awards season, I thought to myself: “What if all the songs nominated were not only songs I knew, but also loved?” The Critics Choice Awards was my first glimmer of hope, with 5 out of 6 nominees being songs I indeed loved (including one from my preciously overlooked Sing Street), and I dreamed and hoped those five would make it to Oscars. Alas, it didn’t happen, though I’m still left with FOUR songs I love and adore being nominated. So who do I pick to win? Are you kidding me? I CAN’T CHOOSE!! We have songs from La La Land! Lin-Manuel Miranda is nominated!! JUSTIN TIMBERLAKE IS NOMINATED!!! ARE YOU KIDDING ME???!!!! Am I, JT superfan, seriously not picking JT to win? But, LA LA LAND!! But, EGOT for Lin-Manuel! COME ON!!! Despite my love of music, I’m not typically a score person. I know the importance of a great score, but I don’t usually pay attention to it. And honestly, this is the first year since Trent Reznor and Atticus Ross’ nomination and win for The Social Network score, that I’ve cared. That’s because like the movie it belongs to, I fell in love with Justin Hurwitz’s score for La La Land. I have to say though that I’m surprised Pharrell didn’t get nominated for the Hidden Figures score because I think he did a great job overall with all the music in that film as well. In an attempt to share the love, my ideal choice to win is Eric Heisserer’s screenplay for Arrival, though I think Barry Jenkins will win, and that’s not a bad thing at all! Actually, any of the nominees here could win and it would be okay. For all the La La Land love, I’m not sure I’d want it to win here. Not to say it’s not deserving because Chazelle did such a spectacular job creating a new and original musical, which is such a hard sell these days. My pick to win is Kenneth Lonergan’s screenplay for Manchester By the Sea, and I have a feeling voters may go this route as well. Keeping in mind that it’s not all about mainstream hits here, I never heard of My Life as a Zucchini. I’m surprised Finding Dory didn’t get nominated. A little less surprised that Trolls wasn’t nominated, even though I love that movie and am clearly biased about it. Want me to pick between my two other Disney favourites, Moana or Zootopia? It’s difficult, but I think I may have to pick Zootopia. I’m not great with some of these technical categories, but I’m going to give it a shot anyways (picks in BOLD). As for the Documentary (Feature and Short), Foreign Language, and Short Film (Animated and Live Action) nominees – unfortunately, I haven’t watched any of them, so I can’t really comment. The long movie awards season is finally coming to an end with the Oscars tonight. It’s been an interesting awards season to say the least. Usually by now, after all the critics and guild awards, you pretty much know who’s going to win at the Oscars. But this year, there’s a lot that is up in the air (except for two, that are 95% sure things) and that’s pretty exciting…or as exciting as an Oscar show can be. Before the nominations were announced, I had already seen 6 of the 8 films nominated, so I was so happy to be ahead of the game this year. It’s been a really strong year for movies, but I can’t even begin to express how disappointed I am that even with the possibility of 10 nominated films, there were a number of REALLY GREAT movies (and actors) that got snubbed. The #OscarsSoWhite controversy is so disheartening and really deserves its own post, so I’m not going to dwell on it here. Focusing on the nominees at hand, it really is the most exciting Best Picture race in years. We’ve had years where one movie leads the pack throughout the entire awards season making things rather anti-climactic come Oscar night. Most years we have two movies (maayyybe three) that go back and forth in the standings. This year, we’ve got four solid front-runners, with a couple underdogs. My personal pick to win is Spotlight and its got a SAG Award win for Best Ensemble behind it, among other accolades. Like the journalists at the center of the story, Spotlight was about the facts, it was to the point, no frills, effective and emotional. I had an innate feeling that this movie was going to be special before I saw it; I only wish I had gotten to see it sooner when it premiered at TIFF. Now I understand the appeal of the three other front-runners with big guild and critics wins. The Big Short, which won the Producers’ Guild, is without a doubt a really good movie, that makes a boring topic entertaining. The Revenant and Mad Max: Fury Road, even with all their technical accomplishments, are just movies I can’t get behind and they just weren’t movies I was into. On the other hand, Brooklyn, The Martian and Room were all movies I loved, all for different reasons; but of those three, I believe Room has the better chance of rising beyond its underdog status in the category. Bridge of Spies, though a very solid movie in the very classic sense, may be a little too old school in its way to make much impact. For a while, the race seemed to be between Brie Larson and Saoirse Ronan, and in my mind, it still is, namely because I can’t decide who I want to see win. Both actresses gave incredible performances that made me cry, and I’m not usually one who cries watching movies and shows. But as the season went on, it’s looking more and more like this is Larson’s to lose. That’s not to say Cate Blanchett wasn’t fabulous as usual in Carol. Same goes with Jennifer Lawrence in Joy, even though it really bothered me that she was supposed to be playing someone way older than she actually is (though that’s more of a movie issue than a J.Law issue). And then there’s Charlotte Rampling in 45 Years, which I didn’t see. A case can be made for any of the actors nominated here, though in such a competitive category, there could’ve been an entirely different list of nominees and it still would’ve been amazing. Early on in the season, Mark Rylance was looking like the frontrunner, but that was before Creed came into play and Sylvester Stallone is now looking like the sentimental favourite. I would love to see Mark Ruffalo win, not just because of my love for Spotlight, but because I think Ruffalo doesn’t get enough recognition for all his work and he really deserves it here. “Category fraud” aside, I want Alicia Vikander to win. She was just incredibly fantastic in The Danish Girl (not to mention Ex Machina) and she’s just going to be such a huge star going forward. Jennifer Jason Leigh is surprisingly a first-time Oscar nominee, but again, I haven’t watched Hateful Eight so I can’t comment. Kate Winslet is great as usual in Steve Jobs, but she’s already a winner. I hate to count out my Canadian girl Rachel McAdams, whom I love in just about every movie she’s done, but I think she’ll win only if there’s an overwhelming love for Spotlight; her day will come eventually. Rooney Mara did some incredible work herself in Carol, working alongside Cate Blanchett, and she’s the one that’ll give Vikander a run for the Oscar win. I think one of the most surprising things about this list of nominees is that Ridley Scott was left off of it, for his great work on The Martian. I was among the many who thought he was a lock for a nomination and even possibly a win. With the omission of Scott, the odds on favourite to win is George Miller, which would be a well-deserved win for the Hollywood vet but first-time nominee. Like I said before, I wasn’t really into Mad Max, but you can’t argue with the creativity involved in creating that universe on screen. If Miller doesn’t win, some are saying that overwhelming support for The Revenant could get Inarritu a back-to-back win in the category. Well, two of these five screenplays are nominated for the big prize, so odds are it’s going to come down to Spotlight or Bridge of Spies, with Spotlight ultimately taking it. It should be noted however, that the three other screenplays in contention should also have been nominated for Best Picture because they were all amazing and inventive in their own ways. Ex Machina is such a simple thriller in concept, but a whole new take on the genre in execution. Pixar continues with its tradition of making grown adults cry with Inside Out, and honestly how can you fault them for that? Then there’s Straight Outta Compton, a biopic done right that shines a light on one of the defining rap groups of all-time. I used to make an effort to read the books that a lot of movies are based on, but in recent years, I just haven’t had the time. Because of its seeming front-runner status, The Big Short is the favourite to win here, for turning a dull (but relevant) topic such as the financial crisis, and making an entertaining film. I do think there’s something to be said about an author adapting her own novel into a movie screenplay and succeeding, as Emma Donoghue has done with Room. 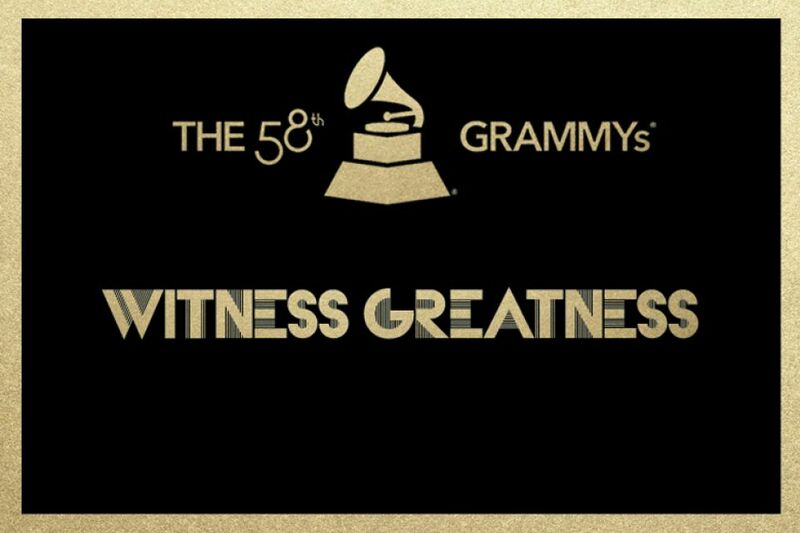 Last Friday (Dec. 5th), the nominations for the 57th Grammy Awards were announced. In an attempt to change things up, the Grammys announced nominations for a handful of categories on the CBS Morning Show, which was then followed by random announcements throughout the day by various artists on Twitter, a more-or-less complete nomination list by mid-afternoon, and topped off by the Album of the Year announcement on their A Very Grammy Christmas special. Yeah, it was really weird. I appreciate the effort but I would rather them have stuck to one way of announcing nominees; the nomination concert followed by the posting of the entire list seemed to have worked well in recent years. Anyways, here are my thoughts on the big category nominees, as well as a select number of other categories. I feel like it’s been a while since I’ve been able to say that I’ve actually listened to the majority of the albums nominated in this category. Last year, the only album nominated that I had heard in full was Sara Bareilles’ The Blessed Unrest, which was a surprise nominee. This year, the only album I haven’t heard is Beck. To be honest, I was a little surprised to see Pharrell nominated in this category, not to say that GIRL was a bad album (it’s really solid, actually) but when I think “Album of the Year” I think an album that made a huge impact in the past year. By that logic, I think Beyonce might be the frontrunner, though don’t count out the ongoing momentum Sam Smith is enjoying right now. It’s possible that Sam Smith might sweep up all the wins. Like AOTY, I feel that this category encompasses the biggest songs of the year, that made the biggest impact. So it was no surprise to see Fancy, Chandelier, and Stay With Me nominated in the category. (Though it is curious to see that Stay With Me is nominated here and elsewhere with the Darkchild version.) I suppose I expected Shake It Off to get nominated because Taylor Swift is a popular choice these days, even if I personally find her and the song annoying. I absolutely don’t understand the appeal of All About That Bass; such an overrated and overplayed song. As far as snubs go, I’m quite surprised that Beyonce & Jay-Z’s Drunk in Love wasn’t nominated or even Ed Sheeran’s Sing. It should be noted/remembered that this category is awarded to the songwriters, to differentiate from ROTY, and I’ve listed the track’s artist just to make things easier (some songs can have a handful or more songwriters who all worked on it, meaning it can get pretty lengthy). Despite the differences, we have an almost identical nominee list to ROTY, with Hozier taking over Iggy Azalea’s spot. While ROTY typically takes the more popular route, I like to think that SOTY is where the Grammys can really make some offbeat choices in their nominations. Yeah, it can sometimes take a lot of people to craft the perfect pop song, but how about recognizing songs with substance and stands for something? As much as I love Sam Smith and Stay With Me, I want Chandelier to win here. Not only is it a fantastic song, but it would be such a big win for Sia who has written so many great songs for other artists over the years, that this would almost be like an all-encompassing win for her. I’ve heard of all these people! There’s not a single “Who? !” in the bunch (though Brandy Clark is almost that nominee). I’m honestly trying to think of what other “new” artists (as defined by the weird Grammy rules) came out in the past year who could’ve been recognized and I’m kind of drawing a blank. Regardless, I’m fairly certain it’s going to be Sam Smith for the win. Honestly, I kind of don’t like the idea of a live version of a song being nominated. By all accounts, All of Me and Happy could’ve been nominated last year, but the Grammys probably pulled the “it’s eligible this year because it became popular within this eligibility period” despite the fact that the songs got released LAST summer. To that end, there could’ve been so many other performances to consider. Where’s Ed Sheeran’s Sing? Colbie Caillat’s Try? Jason Mraz’s Love Someone? Lorde’s Team? Justin Timberlake’s Not a Bad Thing? And don’t even get me started on songs/performances that aren’t big enough to be recognized by the Grammys (of which there are MANY). As always, what qualifies as pop in this category confuses me, though this year is a little bit more cohesive than most. You can argue that this is pop in the most general of terms, in that it means “popular.” I mean I would’ve put Fancy in the Rap/Sung Collaboration category, and I’m not sure how A Sky Full of Stars is more or less pop than Paramore’s Ain’t It Fun (which was nominated in the Best Rock Song category). Considering Maroon 5 performed in the Grammy Christmas special, I was expecting them to at least get a nod here for Maps, but I guess not. And I was thinking about this the other day, but The Script still aren’t big enough to get any Grammy recognition? Because I would’ve liked to see them nominated here for Superheroes. Actually, you know what song I’m surprised didn’t get a nod? Michael Jackson featuring Justin Timberlake, Love Never Felt So Good. I have but one complaint: WHERE IS THE NOMINATION FOR MY BEGIN AGAIN?! That soundtrack is perfection! One egregious snub: WHERE IS MY LOST STARS?! Come on now! How am I supposed to have faith that it’ll get nominated for the Oscar, if it doesn’t get nominated for a Grammy?! With her nominations this year, Beyonce became the most nominated female singer in Grammy history, beating previous record holder Dolly Parton. Childish Gambino (aka Donald Glover) nominated for Best Rap Performance and Best Rap Album. James Franco is now a Grammy nominee. He’s nominated in the Best Spoken Word Album category. Pentatonix have officially hit the big time! The group is nominated for Best Arrangement, Instrumental or Acapella for their Daft Punk Medley found on PTX, Vol. 2. Sia’s ‘Chandelier’ and Pharrell Williams’ ‘Happy’ will duke it out in the Best Music Video category. At the end of it all, Beyonce and Sam Smith lead all nominations with 6 each. The Grammy Awards will air on CBS, February 8th, 2015.